Lifeless brown leaves crackled under the weight of feet on the grey cobblestones of the Valparaíso Sporting racetrack paddock in Viña del Mar, Chile. Their dying colors contrasted with bright red, yellow and pink pompoms braided into the manes of Chilean Thoroughbreds, leaving their saddling stalls to stride around the ring. I leaned against the paddock rail, scrutinizing the foreign race program and glancing up at Thoroughbreds walking past. “Trabajaste en Saratoga? – you worked in Saratoga?” a man in a baggy tee shirt asked me in Spanish as he walked by, racehorse in hand. 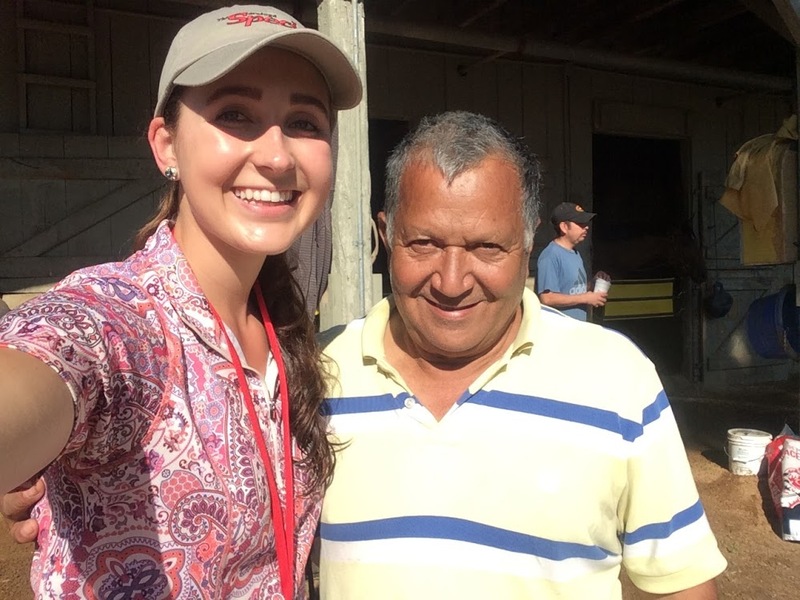 Word had spread that the United States exchange student girl who hung around the track every Wednesday had worked at Saratoga Race Course in New York. “Conoces a Gary Gullo? – Do you know Gary Gullo?” he continued, referring to a U.S.-based racehorse trainer. “Linda Rice, yo trabajé para Linda Rice,” said another, both of them excited about mutual horse racing knowledge that bridged our cultural gap. Five months later, as I walked from one end of the Saratoga backside to the other, an outrider – person on horseback who leads the post parade to the starting gate and catches loose horses – whom I had seen dozens of times but never spoken to rode past. A deep voice pulled me out of my concentration as the rider wheeled his pony around to face me. “Where did you get that sweatshirt? Are you from Chile?” he asked, pointing to the Chilean flag on my sweatshirt sleeve. “I’m from Chile,” he added. Throughout the day, I received two other comments about my sweatshirt from Chilean natives working with Thoroughbreds in New York. The horse racing industry is a small world that seems to be getting smaller. In the United States, it is common knowledge that a high percentage of backstretch workers and successful jockeys are Hispanic. Walk down the shedrows of nearly any backside from east to west coast, and you’ll likely hear Spanish being spoken by someone. 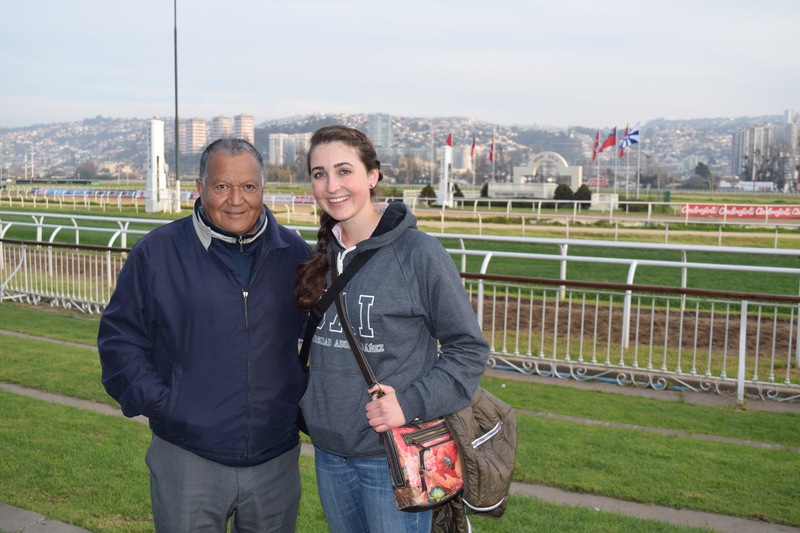 A more recent addition to the United States’ racing industry is the prominent business investments from Latin American horse racing entities. Please join me later this week for the next installment of “Furlong Across Frontiers,” where I will give a brief history and provide statistics regarding the history of Latin Americans in the U.S. racing industry. “Stable area, dormitories and often times a track kitchen, chapel and recreation area for stable employees. Also known as “backstretch,” for its proximity to the stable area” (“Industry Glossary”). “Stable area. A row of barns” (“Industry Glossary”).